AV Vegas rents the industry standard stage lighting consoles that are popular all over the world. 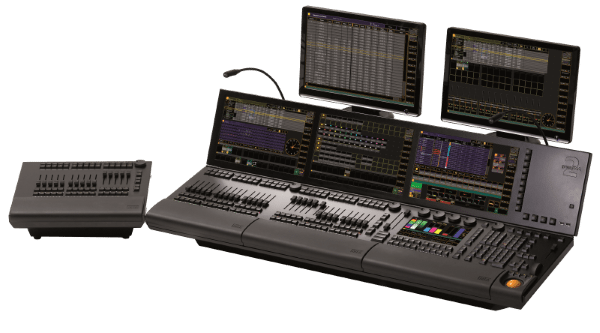 The GrandMA2 lighting console is the most sought after console by lighting designers, especially if they require many DMX channel universes. The GrandMA2 comes in a “Lite” version and a “FullSize” version. AV Vegas rents one of each. AV Vegas also stocks the GrandMA2 NPU unit in our Las Vegas Lighting warehouse. 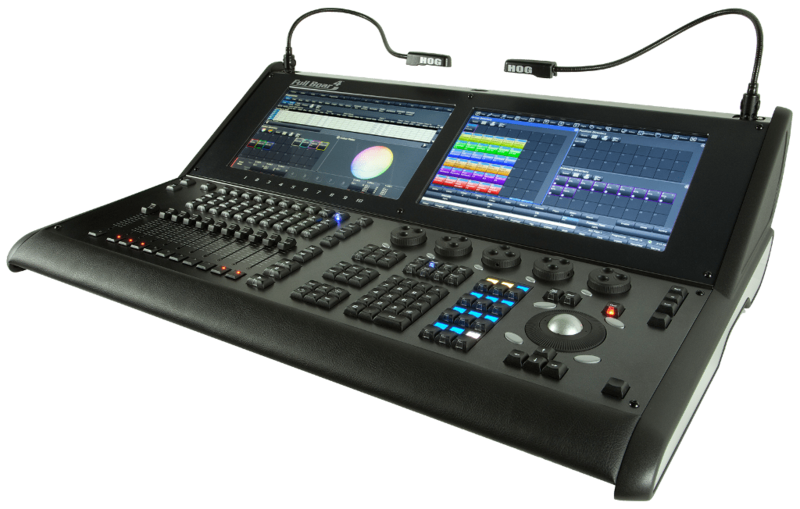 The Roadhog 4 lighting console is loved worldwide by LDs that have been used to using the HOG Protocol. We stock two of these consoles and have an expansion console in case you need more faders than the HOG console has. This year the GrandMA3 will be coming out as an updated MA console. We will be watching to see if it is broadly accepted by lighting designers. If it is, we will purchase one for our rental inventory when full rider acceptance is achieved.